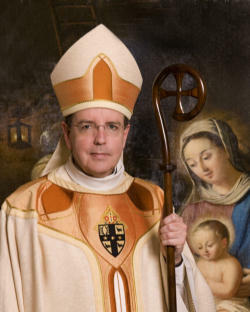 The Archbishop of Detroit, Allen H. Vigneron, has issued stern warning to all Catholics in the Archdiocese of Detroit: STAY AWAY FROM THE AMERICAN CATHOLIC COUNCIL on Pentecost weekend because it is heretical and a danger to your faith. 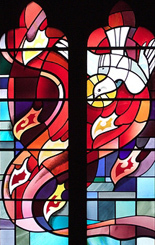 (Archdiocese of Detroit) – …Although their stated purpose is to “respond to the Spirit of Vatican II by summoning the Baptized together to demonstrate our re-commitment and the documents issued by the American Catholic Council offer some valid aspirations for the Church, in fact, the goals proposed are largely in opposition to the teachings of the Second Vatican Council and the Holy Spirit, which inspired the Council. The archdiocese wishes to commend and embrace all true efforts at Church renewal – the American Church Council’s agenda is not such an effort. Some of the advertised speakers and groups organizing the effort espouse positions which are clearly contrary to Catholic faith, leading to alienation and estrangement from the Church. The Archdiocese of Detroit cautions any Catholic against participating in the American Catholic Council local listening sessions and national gathering in June 2011. Catholic parishes, schools, and institutions are not to host any meetings, gatherings, or “listening sessions” associated with the planning of the June 2011 American Catholic Council. Priests, deacons, and ecclesial lay ministers will want to avoid lending support to such a misguided effort……. And what exactly are the heretical dangers emanating from the planners of the American Catholic Council? 2. Community. Every Catholic has the right and responsibility to participate in a faith community and the right to responsible pastoral care. 7. Governance. Every Catholic and every Catholic community have the right to a voice in the selection of leaders and in the manner in which governance and decision making are exercised. 9. Councils. Every Catholic has the right to summon and speak in assemblies where diverse voices can be heard. 10. Guarantee of rights. Church leaders shall respect the rights and responsibilities of the baptized and their faith communities. (1) I wish Allen Vigneron would attend the ACC and engage in constructive dialogue. (2) I plan to attend. I will let you know what I think afterwards……. As always, thank you for sharing and keeping us informed. I’m continuously amazed at the blindness in people’s hearts. I have to keep asking myself, “Do people not see the difference between a church empowering it’s people to be in relationship with God, versus a church who just wants to power over the people”? I will ALWAYS HAVE GOD ~ He can’t be touched or taken away by the church… The church is just a physical building with a bunch of men trying to interfere and control my relationship with God. God welcomes all, loves all, and forgives all. He encourages, guides, and gives hope. The Catholic Church gives me rules, regulations, and controls. Telling me how I’ve failed. Who would you choose to guide you????? We’ve spent the last two years attending other denominations. I wish ALL CATHOLICS would take the time to attend their friends church’s. It opens the eyes when you see the great joy, faith, guidance, and relationships other denominations inspire in their parishioners. They empower the people, not power over them!! Good to hear you’re going to the ACC. I hope to see you there. I was invited to lead a breakout session after two other prospective leaders had to withdraw because of ecclesial pressure, including the danger of losing their jobs. Can Catholics believe that any of their other policies, like zero-tolerance for CSA clerical rapists, should be trusted either?? Isn’t the lack of such reliability on the enforcement of their own policies what got so many Philadelphia clerics indicted by the DA and the Grand Jury??!! Let the Hierarchs cast out the beams in their own eyes, before complaining about the specks in others’ views! !